You’ve heard it said before: College students tend to live in a bubble. And admittedly, that’s kind of the way college works, especially in a town like Athens. And I’m not just talking about throwing a bunch of sweaty, nervous 18-year-olds in close quarters and having them ponder the bigger questions of life while expecting them to make major career decisions. It’s strange to think that someday soon, food won’t come to us on shiny dining hall plates and we probably won’t be spending the brunt of our days listening to professors in lecture halls. Someday, we’ll be out in the “real world,” working with colleagues outside our age group. We probably won’t be living in a college town like Athens, where nearly everything is in walking distance, the late-night food is aplenty and the town itself has a palpable beat of activism running through its veins. But just because we’re still college students doesn’t mean we aren’t interested in the issues that matter to our wider community. We’re acutely aware that we spend most of the school year living in the poorest county in Ohio. And though we know those numbers are skewed by the heavy student population, a short drive outside the city yields a reminder that many of those living in our region struggle to make ends meet. Unfortunately, most of us don’t spend much time outside Athens. Just like most other students, our reporters’ time is typically split between classes, work, extracurricular activities and, if we’re lucky, sleep. However, that’s a fact we’d like to change. 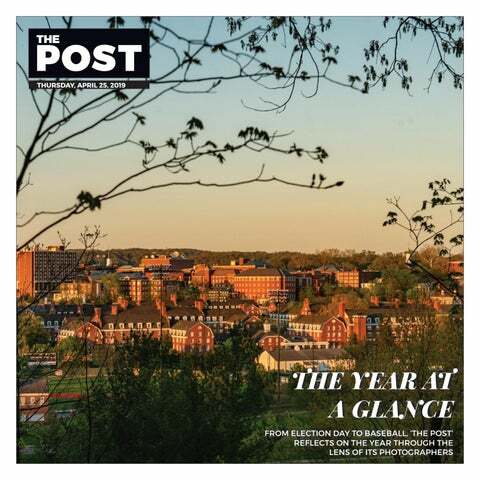 Right now, The Post is beginning to plan its very first edition focused entirely on issues impacting the greater Athens County and southeast Ohio region. Under the working title of “Beyond the Bubble,” the issue will dive deep into topics we don’t typically cover. We’re excited about this issue. But if we’re going to create an accurate snapshot of what’s going on in our region, we need your help. We know our readers aren’t exclusively Ohio University students, faculty members and staff. That’s why we’re calling on our county and regional readers to speak up, reach out and tell us about what matters to you. What are the issues that keep you awake at night? How are you impacted by national political events like the recent government shutdown? Where do you feel like your community needs support? What do you wish college students like us knew about your situation? Let’s talk. My inbox, editor@thepostathens.com, is always open. You can also call our newsroom at 740-593-4010 or send a letter to Baker Center Suite 325, 1 Park Place, Athens, Ohio, 45701. Lauren Fisher is a senior studying journalism at Ohio University and the editor-in-chief of The Post. Have questions? Email Lauren at lf966614@ohio.edu or tweet her @Lauren_Fisher.